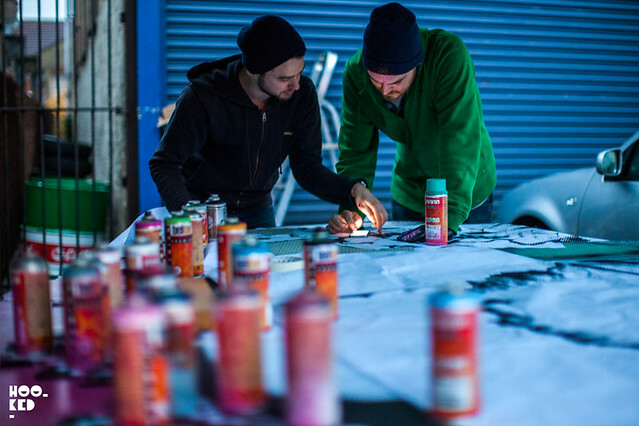 Back in February of 2015 we managed to catch up with image makers STATIC shortly after the completion of their largest mural (covered here) to date and their second with the Wood Street Walls project out in E17, East London. The London based artists Tom Jackson and Craig Evans, collectively known as STATIC have been working together since they met at art school, setting up their studio in a derelict space overlooking South Bay in their native Scarborough. 2016 marks a decade of collaboration for these two artists and to celebrate this anniversary year the duo are planning a series of global exhibitions kicking of with PRESS PLAY, a solo exhibition at London’s Lawrence Alkin Gallery. STATIC’s unique work combines screen-printing with mixed media techniques to produce images that merge elements from street and fine art. The idea for the PRESS PLAY show has been born out of their massively popular Game ON! 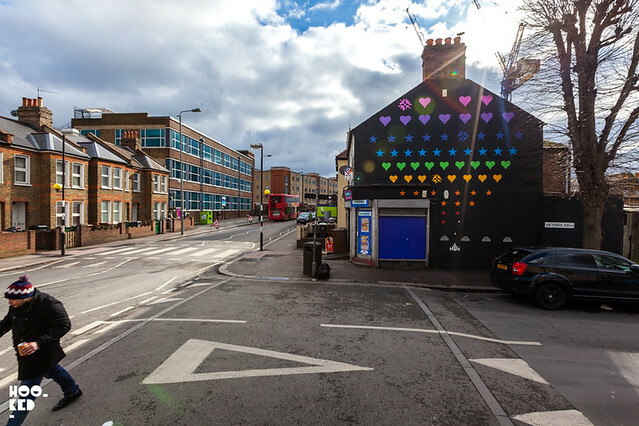 mural in Walthamstow pictured above. Taking inspiration from retro video games, using well known and loved computer games as a starting point and giving them a STAT-IC twist for a collection of new layered glass works for PRESS PLAY. "'Press Play' reflects on the sub-culture of gaming and how since its inception in the mid-twentieth century it has carved for itself its own sub-culture and global following, which now has far reaching influences. The new work and exhibition also reflects back on how these early graphics have come to influence and inspire contemporary design." To attend the PRESS PLAY opening night, please RSVP the gallery using the email below, including any guests you wish to attend. The private view will take place on Thursday 14th January from 6 - 9 pm.